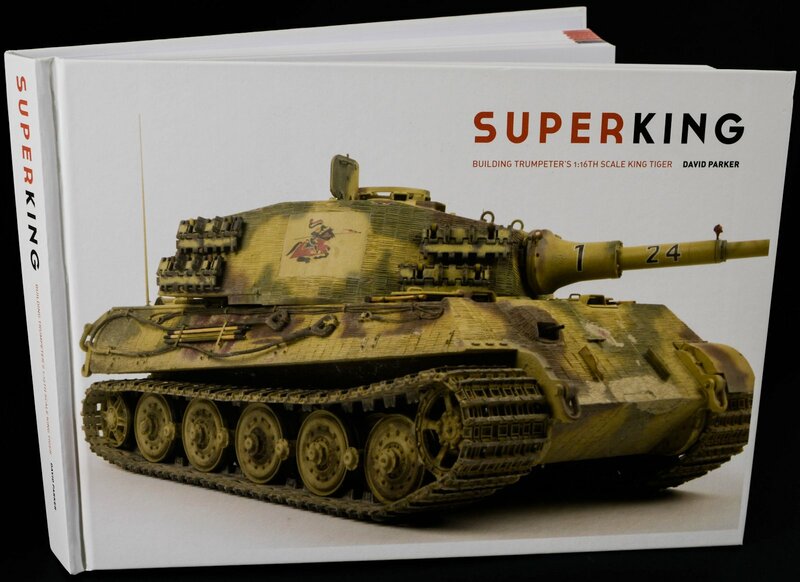 Format: Hardcover, size 8.25" x 11.5"
Our copy of “Superking” was sent from AFV Modeller Publishing safely in the post in just a few days. I say safely because with such a large book in dimension (8.25" x 11.5") and pages 452 with a think hardcover can get easily bent out of shape in the post. Our book came pristine in a hard cardboard box. 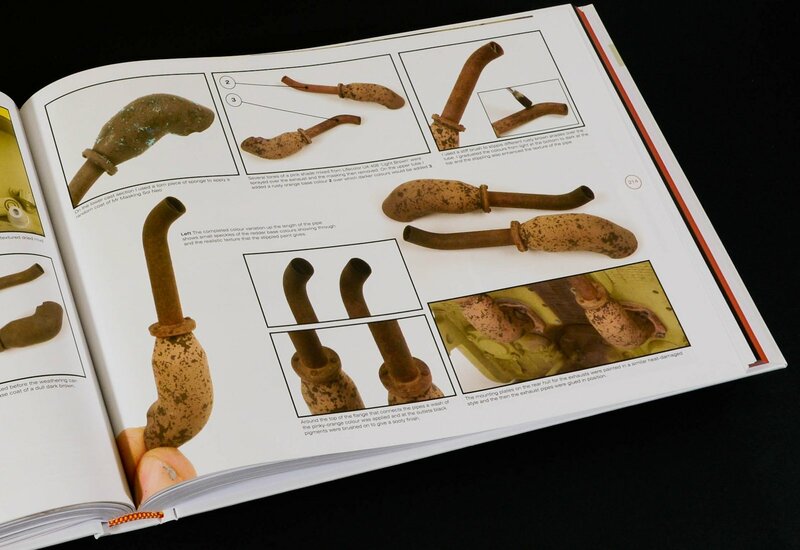 The first thing that strikes you when you see this book for the first time is the very nice way that the book and the graphics are conceived and laid out – The fact that the author has a degree in Fine Art and that he has worked as a graphic designer really shows here. The book has a “premium” feel to it from the moment you pick it up. 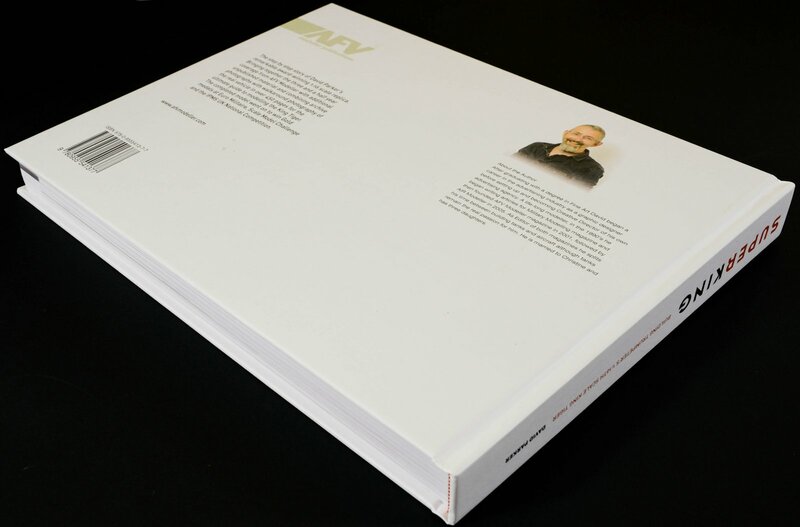 The thing that worried me a little was indeed one of the strengths of the book – That being the amount that has gone into the tome and therefore it’s associated large size and weight. Because the book is so big the glue on the spine makes a cracking sound if you do not support the book properly. There was nothing wrong with my book on close examination but I would say to just be careful of how you support such a heavy tome whilst you are moving it around, and indeed how you transport it when outside your house taking it to show a buddy (as i am sure you will want to). Get your friends to come and have a look at it instead of taking it with you to them, as it is a hefty thing and all books are delicate the bigger they get. The last thing I would say about the size is find a book dealer close to you so they can pay the postage costs instead of you. 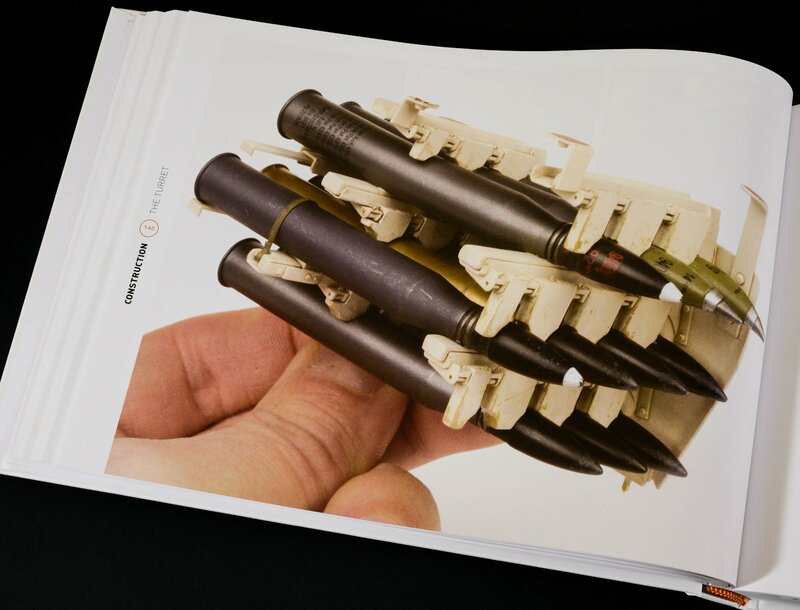 Although if you are worried about postage costs there is also a softcover version of this book with the same content for slightly less cover price, the hardcover is definitely worth the extra cost for that luxury feel. This is a book you will keep as long as you are interested in modelling. 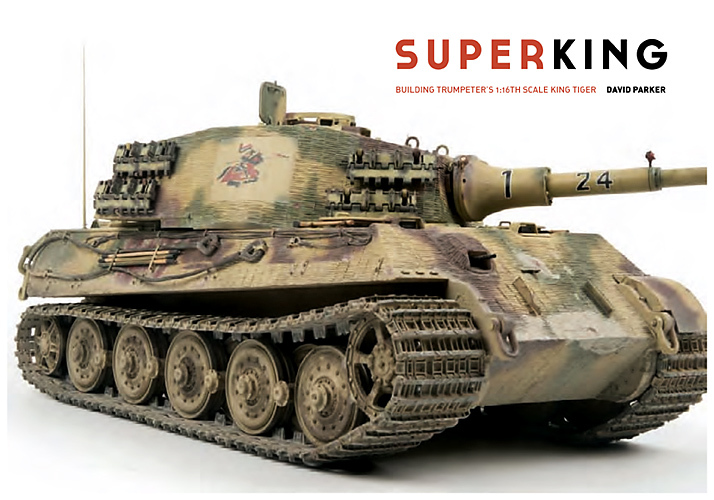 This start-to-finish,Step by step guide to building the Trumpeter King Tiger in 1/16th scale was serialized in the AFV Modeller Magazine over several issues. 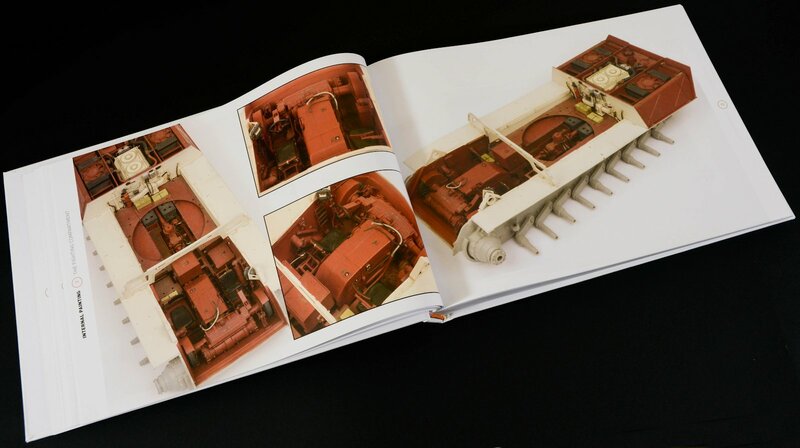 However, this book adds something more in the form of extra material from his build and several period shots and contemporary walk around photographs with diagrams of how the King Tiger works and how it was put together. This book is big in image count (over 1500 in total) & pages but relatively simple to read and follow. The build of the kit is broken into twenty one chapters that feature not only the step by step (SBS) but also the circumstances surrounding the decision to make the kit and the research the author has done into the vehicle including being able to climb into two KT’s to take a bunch of reference pictures and to get “hands on” with the monster. If this isn’t an impetus to build a model as detailed as this I do not know what is.. The photography of this book is another feature I should mention. Although most of the shots are focused very clearly with a lot of detail in the centre of the shot whilst sometimes the outer detail is less sharp. To be frank compared to the pictures I take these are great - and very well composed and helpful to following the steps in the text. When looking at this amount of photographs I am glad the author has been so fastidious in making sure he documented the whole process for the readers. The extra shots not published in the serialised magazine run are most welcome as well. In the first intro chapter we get to see the almost impish look the author is given due to the massive size of the Trumpeter boxing of this kit. We learn in this introduction about the various three boxings of the kit and the features of each release. The people who helped David complete his kit along the ways and about the forum that David started to help other like-minded souls. I very much like the freedom of information sharing that is in the author’s DNA which is evident in the next section – the build. 2. Internal Construction: The Hull – The bottom of the tank is enriched with a bunch of additions and corrections to even the slightest part from the author. From the additions he had made at this point, it was obvious that this build would be extensive and very thorough. The dials on the vehicle’s gyro-compass and the coil spring detail in the seats are just two examples of the effort that had already gone into this build at nucleus stage. 3. Internal Construction: The Engine – with the construction of the forward interior already completed in the last chapter we look at how David super detailed the two Maybach HL 230 engines with coil, wires and plastic scratch built enhancements and some very nice paintwork to make these large blocks so much more lifelike. 5. Internal Painting: The Engine Bay - The red oxide goes onto the kit in large swathes now and things start to look a little more lifelike. 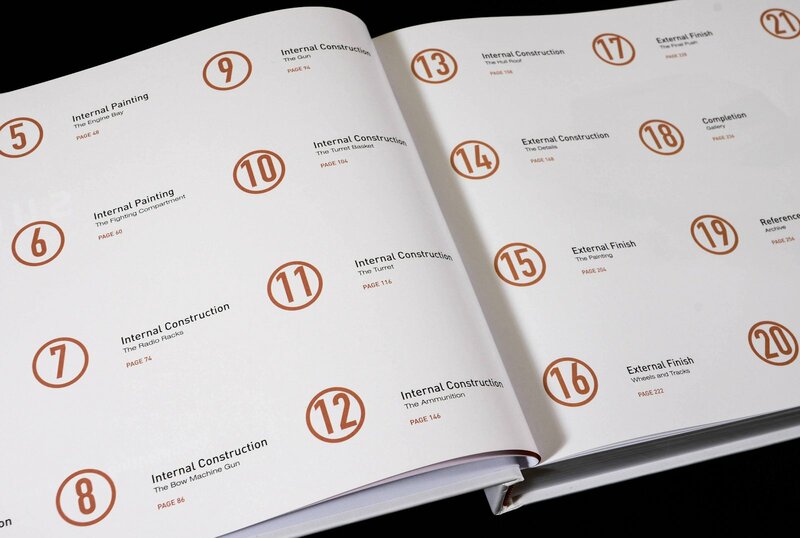 We see the use of numbered key points in the build in this and many of the other sections telling us exactly just what we are looking at and talking about, they help a lot because I am not as knowledgeable as the author and I don’t think many others are also. Brilliant work with making ribbed flexible tubing and tiny wiring seem equally real and in place are great to see in action. This is already looking very nice. 6. 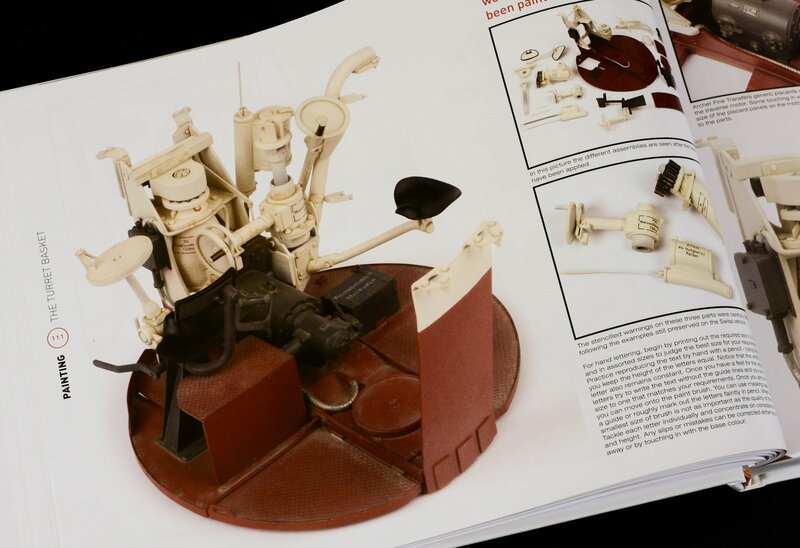 Internal Painting: The Fighting Compartment – the front of the hull fighting compartment was now given the cavalry red and cream treatment as the plastic is transformed in to German steel. The use of oils, Alclad and even metal foil rubbed against checker plate is shown to full effect and details like the textured resin/cloth ammo bags were painted up to make this lower section of the tank look just like the real thing. 7. Internal Construction: The Radio Racks - The radios of this King Tiger were almost scratchbuilt. The originals just not being up to the rest of the construction so far. Use of plasticard and rod with wire and then the painting detail of these comms gear and wires make these sets look like the real things in these photos. – Or if not a slightly miniature version of the real thing. Every wire and extra bit of detail has been so well researched you can only profit from reading all of this man’s hard work in the book. 8. Internal Construction: The Bow Machine Gun – A whole chapter devoted to the bow machine gun might seem like a stretch but in reality, it is a little wonder to behold. The mount is mostly scratchbuilt again. The brass barrel and ammo and coiled wire to support the weight of the gun are so finely detailed that – as you can see in the picture below they could be real. 9. 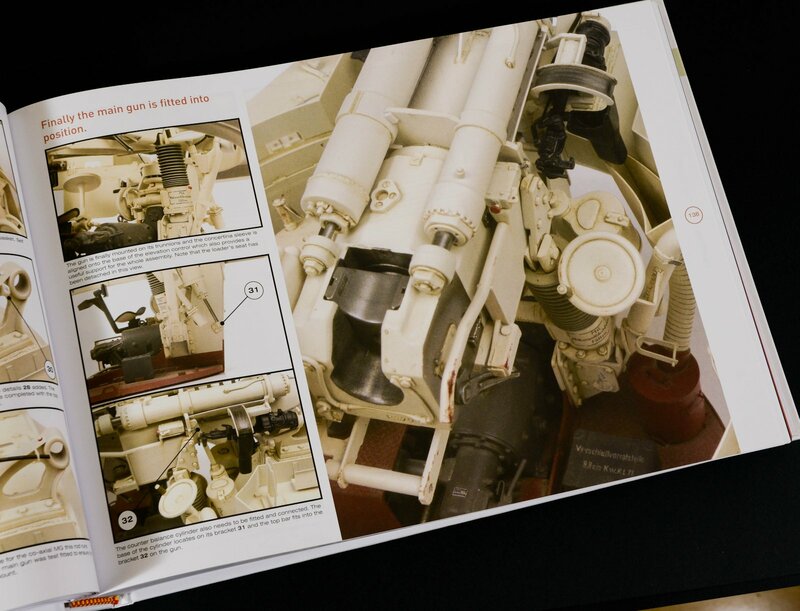 Internal Construction: The Gun – When you think about “the Gun” on a Kingtiger you really are thinking about the 88mm Kw.K.43 L/71 cannon that is the main armament. The stock kit gun fares a little better than the rest of the kit but additions are still made and the telescopic sight is enhanced by the modeller with Aber screw heads, wire and plastic before it is all painted in cream and silver and then chipped and rubbed like the wear on the real gun. 10. Internal Construction: The Turret Basket – The turret basket is next as we work our way up the tank. The dotted flooring is added to the kit while the lovely resin concertina sleeve and the plastic and coiled and straight wire enhances the rest of this nest for the commander and gunner. The paint and weathering process follows the footsteps of the rest of the internal structure. 11. Internal Construction: The Turret – we go back to bare plastic with the turret construction next. We see a lot of filling in sink holes and the inclusion of wire to make more cabling and structural plasticard to add detail. Periscope, hatch and handle detail is painstakingly added here in a process that must have taken eons (no wonder it was a 3.5year old build) and when the gun is fitted into position inside this cluttered tiny space with such realistic elements so well finished you can see that the time and effort was so well worth it. 12. Internal Construction: The Ammunition – The ammo David has made is detailed up with stencils and neat little brass etched ammo base plates that combined with brass and coloured shell tips that make these look so good. The author compares the different types of ammo for us in several pictures. All of the work that had been done to the turret ammo racks previously is shown and when it is all painted up you can see the fruits of all of this labour quite well. The text that accompanies these pictures pretty much always lets you know where the parts are all from and what materials are used to make the look real. 13. Internal Construction: The Hull Roof - The painted and naked structure of the hull is now about to be sealed up. What a shame – until the author took the rather ballsy but smart decision to open everything up by cutting out the top of the hull roof to make this a convertible of sorts. Still, more detail was added to the hull hatches and latches and periscopes. The insides were now finished – on to the exterior. 14. External Construction: The Details – The smooth base coat is improved with weld details, enhancements to the tools and clasps which hold them onto the sides of the tank and even the internal welds to hold the tools are shown. The whole external structure being coated in a skilfully laid layer of Zimmerit. And we see how this was achieved one divot at a time. Before the kit was sealed up there was still some work to be done inside the superstructure. These final details were added to the wheels and track construction which looks fairly simple with the exception of sink marks on the insides and the serial numbers needed to be added to the wheel axles. 15. External Finish: The Painting – The massive size of this tank comes into play when applying such a paint job. We can see by the picture below the size of the kit and this lends itself to both the advantage of being able to paint finely but the inclusion of a lot of detail that you could well skip over on a smaller 35th scale tank. The camo is laid out on the vehicle and the details like the damaged Zimmerit is shown as are the track painting and the lovely chipped and rusted exhaust detail. Dust is added to enhance realism but I like the fact that not too much was added. This is not an over-weathered vehicle – the term “just right” applies here. 17. External Finish: The Final Push - and now for the home straight – this section is all about adding detail. 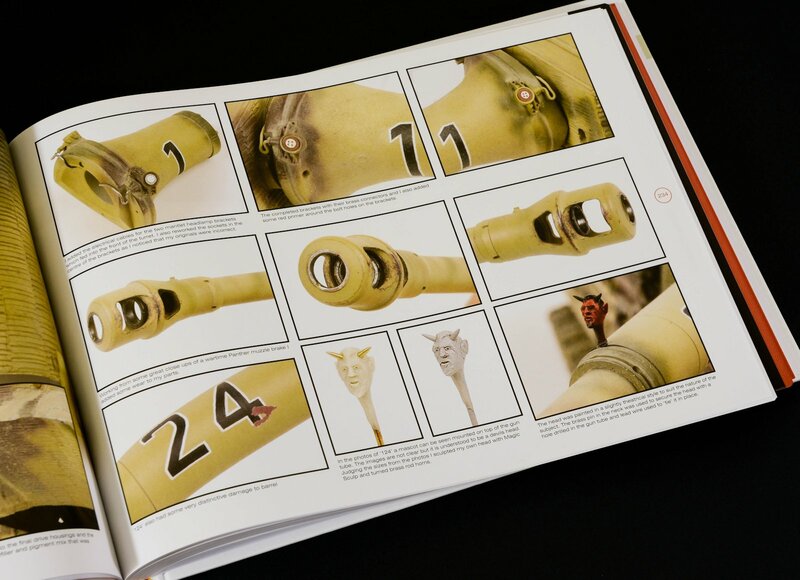 Scratches, silver parts and the sculpting of Devil’s head which was the mascot of the original King Tiger “124” that unusually sat on the gun of Horst Krönke’s sPz.Abt.505 machine. 19. 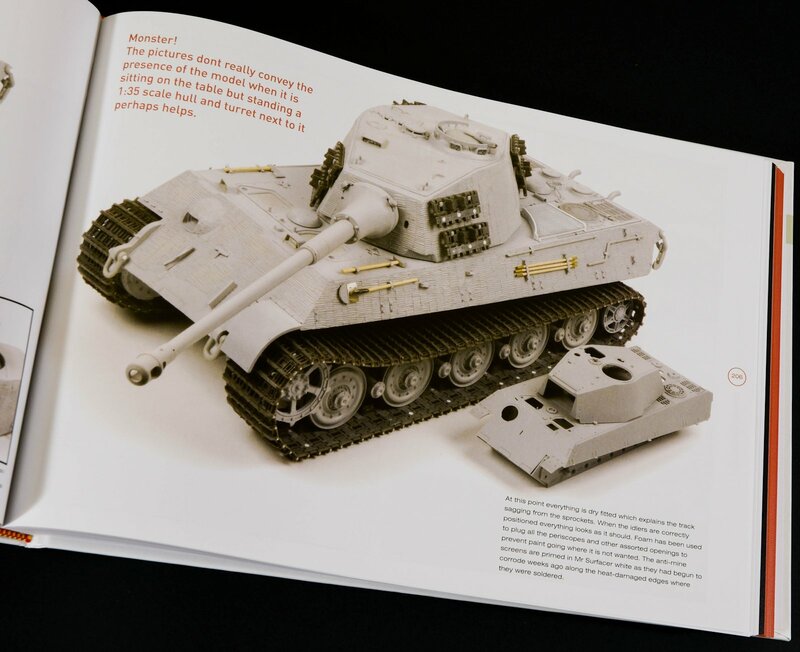 Reference: Archive - in a section laid out with black printed edges so you can flick quickly through to the end we have a section of some sixty pages which are full of reverence pictures of other King Tigers from the same time period. 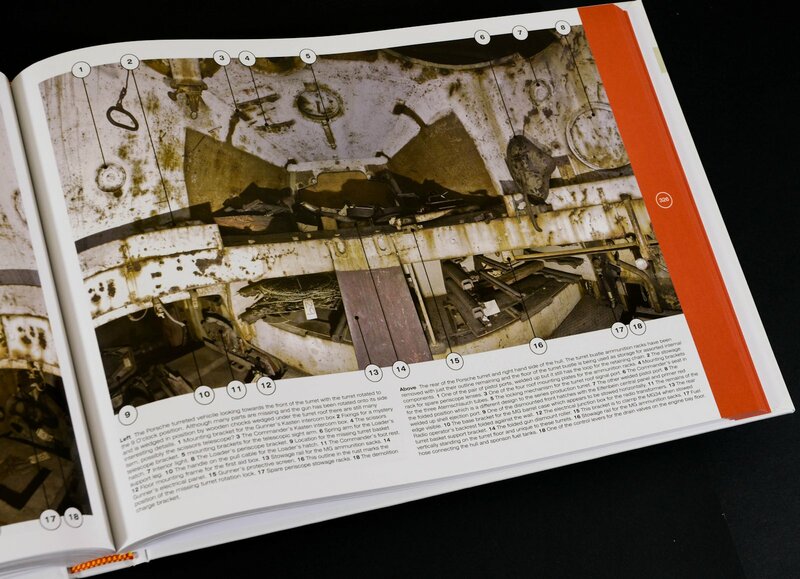 All angels and tanks of varied conditions are included as well as blueprint diagrams and shots from inside the tank. 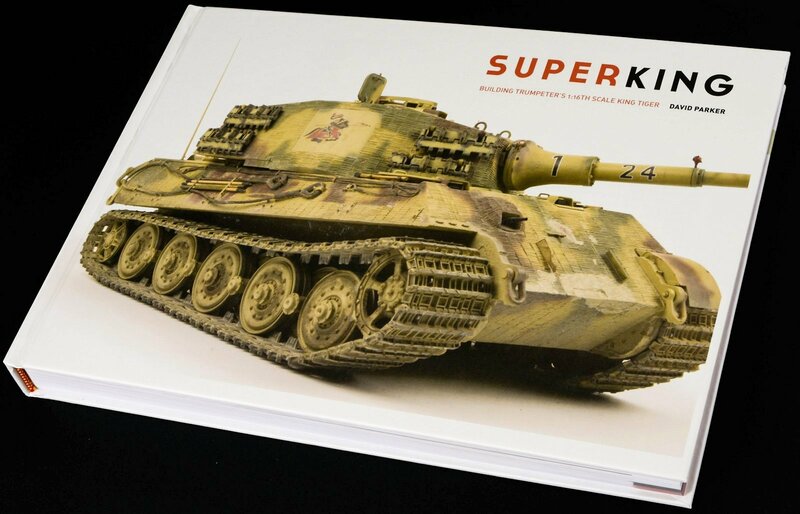 Lastly, we have more shots of the subject of this book King Tiger “124” which is just a lovely way of tying it all up…. 20. 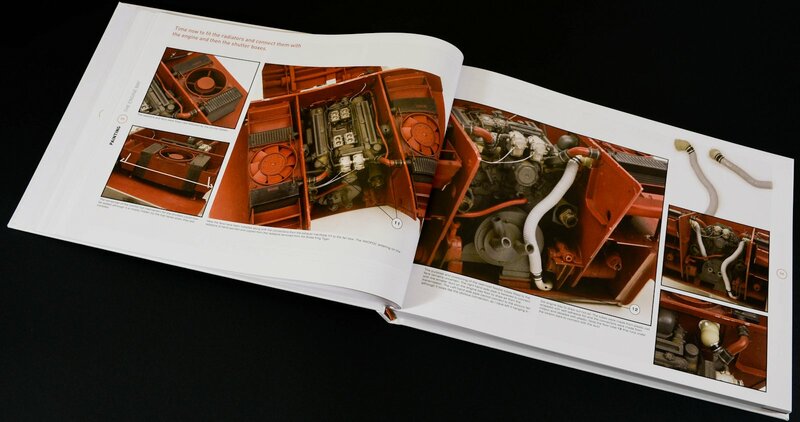 Reference: Preserved Vehicles – …But no there is more – another 125 pages with contemporary photos from every conceivable angle an internal and external part of the surviving King Tigers David has been able together. The shots here are well lit and clear and you really could not ask for more than these for reference. You see the difference between each of the vehicles and their equipment that survives in various conditions. This section is cuffed in a hull red colour so you can again access it quickly when you need. 21. 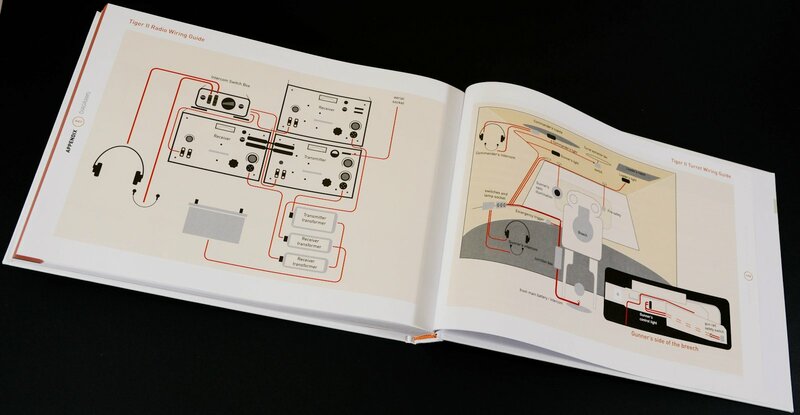 Appendix: Diagrams – In this last part we look at some simple diagrams for wiring inside the KT of the radio station and the internal hull There is also a couple of tables showing the features included in the tiger development. Very helpful to the completist’s we can all now afford to be when it comes to the King tiger after reading this book. 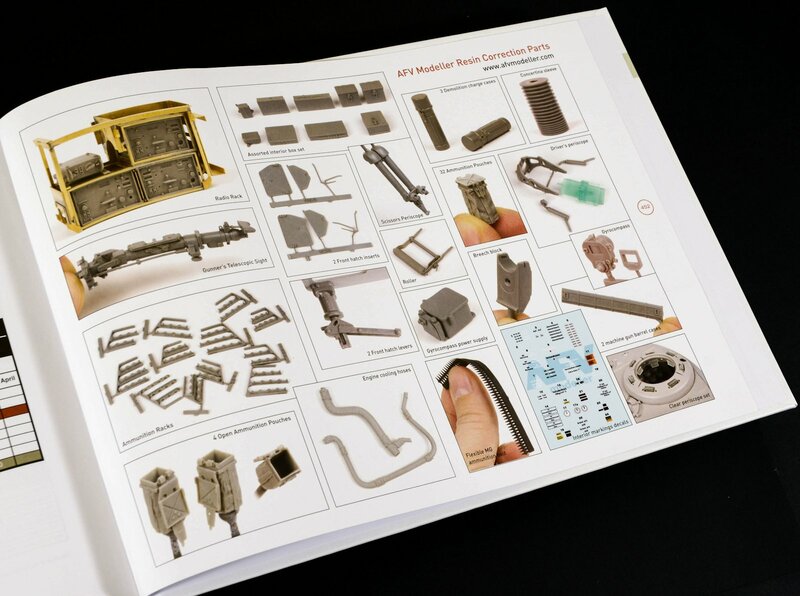 A handy page at the end of the book and a bit of a plug shows the AFV Magazine’s own resin enhancements for the Trumpy Kingtiger kit devised and used here by the author. Some great stuff here. Well, that is it – I did not expect to write this many words about a book but I reckon neither did the author. 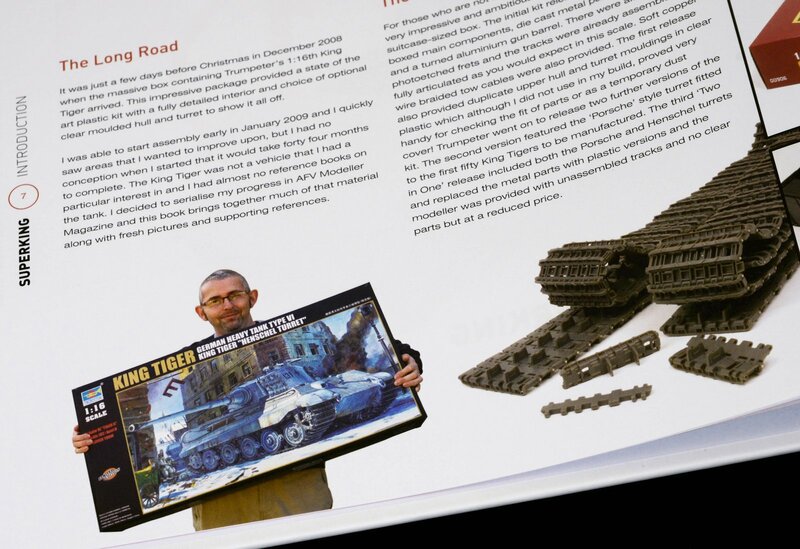 He has done probably the best model of a Kingtiger I have ever been lucky enough to see both in the flesh and now in a book which I’ll keep forever and one you should own even if you are not an AFV modeller as you will learn a lot from reading this book. 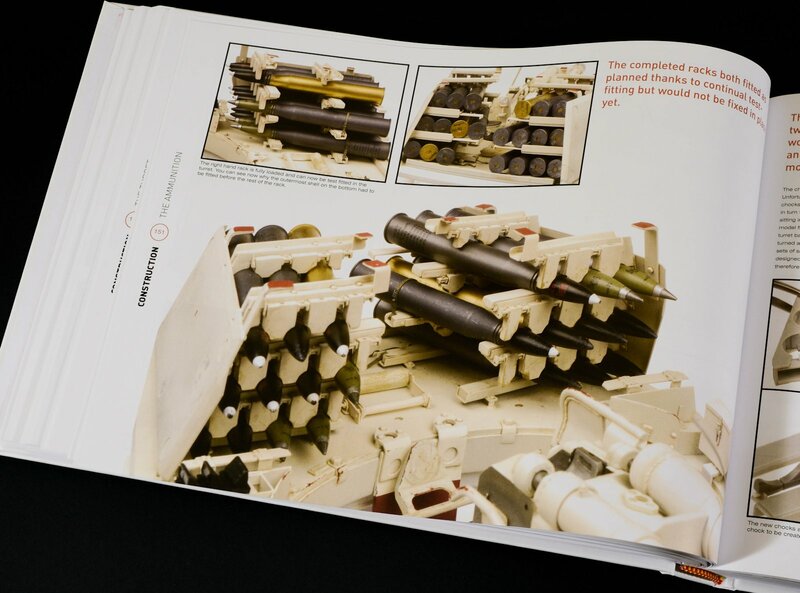 Thanks to AFV Modeller Publications for sending us this book. Check out their website for more info on where to get yours..